Great Place to Work and FORTUNE have honored ENGEO in the top ten 2019 Best Workplaces in the Bay Area. ENGEO took the 7th spot on the list. The ranking considered more than 30,000 employee surveys from companies across the San Francisco Bay Area. Great Place to Work, a global people analytics and consulting firm, evaluated more than 60 elements of team members’ experience on the job. These included the extent to which employees trust leaders, the respect with which people are treated, the fairness of workplace decisions, and how much camaraderie there is among the team. Rankings are based on employees’ feedback and reward companies who best include all employees, no matter who they are or what they do for the organization. ENGEO’s projects have taken a sharp diversification trajectory both geographically and technically. The technical advancements over the last year are taking geotechnical engineering to a new level, with non-ergodic seismic hazard analysis and patented testing and observation accuracy. Additionally, employees are encouraged to work throughout the 11 US offices and apply for the “Bridge the Gap Initiative” to our five New Zealand offices. 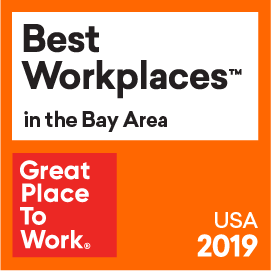 The Best Workplaces in the Bay Area is one of a series of rankings by Great Place to Work and FORTUNE based on employee feedback from Great Place to Work-Certified™ organizations. ENGEO has ranked as a Best Workplace by Great Place to Work and FORTUNE since 2007.